Pipes and tubing are ubiquitous and form the arteries of most equipment, machines and systems – from aerospace to the anaesthetic tubes in an operating theatre and from the heavy industry right down to marketing fragrances. 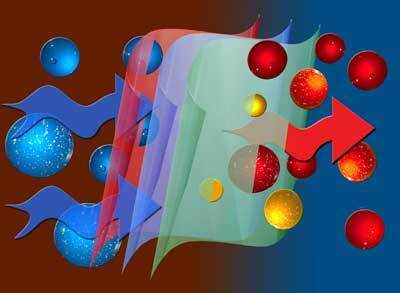 Yet all these suffer from the same problem – whatever is in them can permeate out which causes some very big problems! The solution is the latest range of vapour permeability testing from Versaperm. Some materials allow thousands of times more vapour through than others and some, such as silicone, cellulose, EVOH and PVOH are so poor at containing water vapour that they might as well not be there at all! To make matters even worse, the manufacturing process itself can quadruple the amount of vapour that permeates through the material. If you want to keep water or any other vapour inside a tube, then the only solution is testing. 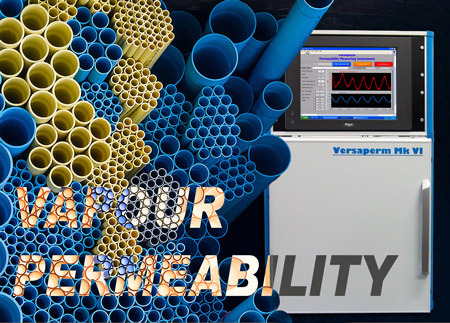 With Versaperm, measuring this permeability is fast and very precise, allowing users to select the best materials, and refine the manufacturing process they use in their processes. This not only includes testing water vapour but also almost any other gas - including hydrocarbons, oxygen, CO2 and nitrogen. Vapour permeability problems cost the world billions of pounds a year and they affect the performance of almost every plastic, rubber, composite or polymer component, seal and joint. Permeability can also affect a material's other physical characteristics, sometimes dramatically, including strength, handling, resistance, print quality and ways they perform in general. Versaperm's permeability equipment gives an accuracy that is typically measured in the parts per million range, (parts per billion with some gasses). The system is ideal for testing, development and QC on plastics, rubber, components, containers, films coatings and components. As well as manufacturing the instruments, Versaperm offers a permeability laboratory service for companies that only need to test samples on an irregular basis.